We want to help make your first experience at Living Word Church a great one!" Drop in a few minutes early and enjoy a complimentary cup of coffee and pastries in our cafe. In total, a Living Word service is about 90 minutes in length. Services begin with the Living Word Praise Team leading the church in music - song lyrics are projected onto the screens so you can sing along and/or engage with worship however you feel most comfortable. After the music portion of service is complete, our pastor will come out to share an encouraging and power-filled message about Jesus. WHAT'S THE CULTURE LIKE AT LIVING WORD? Sunday's at Living Word are exciting, casual, and relaxed. Come as you are and expect to feel welcomed as our guest. We believe that kids should have a blast at church every single week - and at Living Word, we make this a priority. The other thing we make a priority is your children’s safety. Because of that, we have a detailed check-in process for our kids program the first time that you visit. You’ll want to leave yourself an extra ten minutes to get signed in for the Living Word Kids experience. 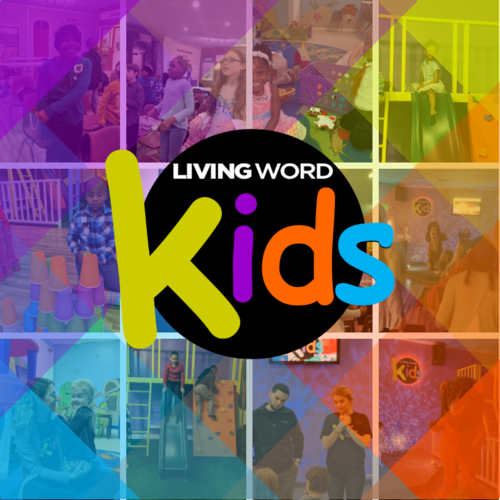 Kids ministry is offered at every Living Word service for kids ages infant through Grade 6. Wednesday Nights at Fusion Youth, Grades 6th - 12th enjoy awesome music, great messages that apply to their life and time to hang out—with friends and some super cool adult leaders who really care about students. Arrive early and enjoy free Arcade games, Air Hockey, and Pool. Stick around after the service to hang out and eat snack. If the weather is right they can even enjoy a game of basketball! The doors to the Fusion Building open at 7:00 PM and remain open until 9:00 PM. Ready to check out Living Word Church in person? We can't wait to meet you in person. Simply fill out the form below and we'll make sure to give you the VIP treatment upon your first visit. DO YOU HAVE KIDS BETWEEN INFANT AND GRADE 6?